Sometimes you will open your email client and your email will arrive in your inbox, but when it comes to sending a message, you get an error message. In this article, we will look at reasons why you can receive but can’t send email messages from your email client (ie. Mac Mail, Outlook, Thunderbird). Are you using SSL settings on non-SSL ports? If you want to use SSL for your incoming emails, you need to use the port 465 for your outgoing mail server. Are you using non-SSL settings on SSL ports? If you are not using SSL, you need to use port 25 for your outgoing mail server. Do you have the correct outgoing mail server name? 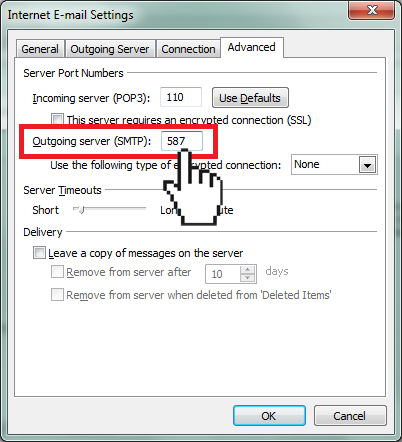 Make sure you are using the correct server for outgoing emails. Did your ISP block port 25? Solution: Use port 587 (non-SSL) or port 465 (SSL) instead. Many email clients use port 25 for SMTP to send out emails. But many ISPs (Internet Service Provider) block port 25 to prevent their internet connection being used for spam. So, instead of using port 25 for your SMTP, we recommend using port 587 (or port 465 for SSL). 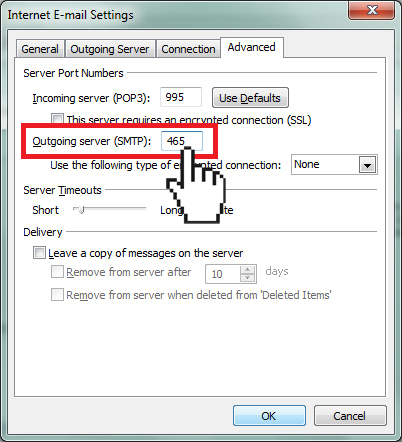 Instructions on how to change the SMTP port for some of the most common email clients. Advanced Users: To test if your ISP blocks port 25, open you command line on your computer. For Windows users, you can access this via Start > Run > cmd. Mac users can use the Terminal application. 2) If Port 25 is blocked, you will get a connection error or no response at all. Did you set the correct SMTP Authentication setting? Solution: Verify that you have selected the “My outgoing server requires authentication” option on your mail client. 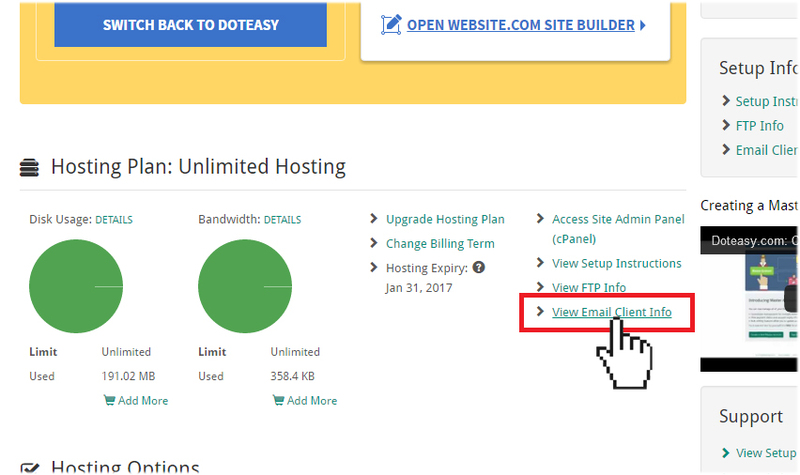 Doteasy requires SMTP Authentication to be used for all domain email accounts hosted on our mail servers. Instructions on how to enable SMTP Authentication for some of the most common email clients. If you have followed the steps above but you are still unable to send emails from your mail client, please contact us so we can help you further investigate and rectify the problem.